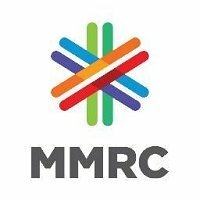 Surveyor Vacancy – Last Date 18 March 2019 (Mumbai, Maharashtra), Mumbai Metro Rail Corporation Limited (MMRCL) recruits Surveyor posts. 12th Passed experienced candidates can apply. Candidate should have passed Secondary School Certificate Examination of Maharashtra State Secondary and Higher Secondary Education Board and should have passed “Surveyor” course conducted by the Government approved Industrial Training Institute or its equivalent institute and should possess MS-CIT certificate & Auto CAD certificate. Mandatory: Candidate should have minimum 03 years’ experience and should have knowledge of Land Survey Measurement and handling Measuring Instruments, Calculation of Area, Land Demarcation etc. pertaining to large infrastructure projects / Metro Rail Projects. Desirable: Candidates with experience in Govt. sector/ Public sector companies/ large scale infrastructure Projects / Metro rail companies will be preferred. 1. Age, qualification and experience would be as on 01st January, 2019. 2. In case of educational qualifications, in addition to an institute being approved by UGC/ AICTE; the particular Degree/ Diploma awarded by that institute is also required to be an approved Degree/ Diploma. 3. While applying for the above post, the applicant should ensure that he/she fulfils the eligibility and the norms mentioned above on the specified dates and the particulars furnished by him/ her are correct in all respects. In case, it is detected at any stage of recruitment that Candidate does not fulfil the eligibility norms and /or that he/ she has furnished any incorrect/ false information or has suppressed any material fact(s), his/her candidature will stand cancelled. If any of these shortcomings is/ are detected even after appointment his/ her services are liable to be terminated. THE ENVELOPE SHOULD BE PROPERLY SEALED AND SUPERSCRIBED WITH Name of the post _____________________ To, The Managing Director, Mumbai Metro Rail Corporation Limited, MMRCL –Line 3 Transit Office, E Block, Bandra Kurla Complex, Bandra (East), Mumbai- 400051 4. MMRCL reserves the right to change the number of vacancies and cancel/ restrict/ modify/ alter and modify the recruitment criteria’s during the recruitment process if required, without issuing any further notice or assigning any reason thereof. 5. Incomplete applications or applications received after the due date will be summarily rejected. MMRCL is not responsible for Loss/ delay in post. 6. MMRCL is not responsible for any printing error that might have inadvertently crept in. 7. Candidates employed in Govt. Dept. / PSU/ Autonomous Body should forward their application through proper channel and must produce NOC from the present employer on the date of interview. (Format is enclosed below) 8. No Travelling Allowances/ reimbursement will be paid to the candidate for appearing for Interview and pre-appointment medical examination. will be governed by DOPT/DPE/GOI guidelines as applicable. Govt. of India from time to time. Mumbai Metro is a rapid transit system serving the city of Mumbai, Maharashtra. The system is designed to reduce traffic congestion in the city, and supplement the overcrowded Mumbai Suburban Railway network. It will be built in three phases over a 15-year period, with overall completion expected in 2021. When complete, the core system will comprise three high-capacity metro railway lines, spanning a total of 63 kilometres (39 mi). Line 1 of the Mumbai Metro is operated by Metro One Operation Pvt Ltd (MOOPL), a joint venture company formed by RATP Développement, Transdev and Reliance Infrastructure, under a 35-year contract. MOOPL operates under the control of Mumbai Metro One Private Limited (MMOPL), formed by Reliance and the Mumbai Metropolitan Region Development Authority (MMRDA).